MolPort provides a number of ways to access data on commercially available compounds and their catalog data: the MolPort web portal, a downloadable database, web services (API). With web services you can instantly check the latest stock level information for MolPort compounds from your software application, Microsoft Excel, Optibrium StarDrop, PipelinePilot or KNIME. 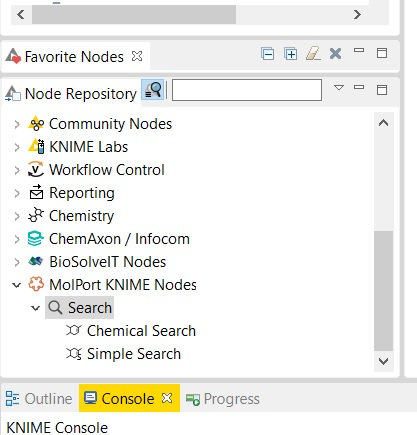 Starting today, MolPort KNIME Nodes are available from the traditional KNIME install/update website. This will not only make the installation process much easier, but will also keep them up-to-date automatically. Just add https://www.molport.com/knime/ to the list of update websites. 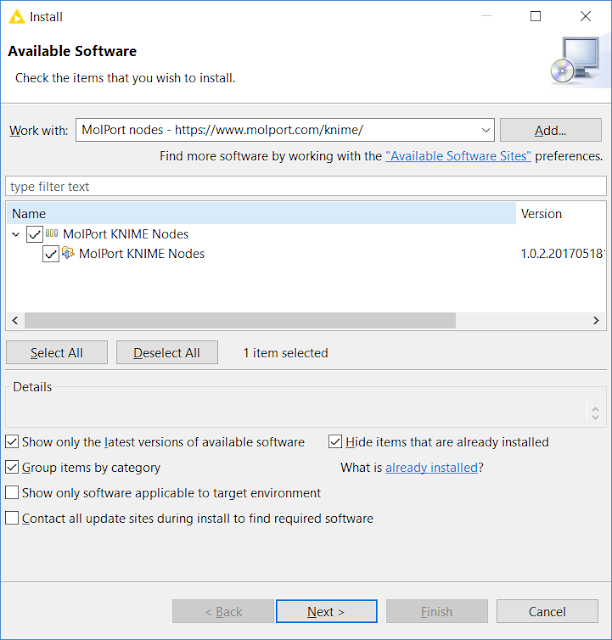 Open KNIME, then click Help menu, select Install New Software. Paste https://www.molport.com/knime/ into the Work with field. Press the Add... button and then save the update resource with a name of your choice. We have used MolPort nodes as an example (see figure below). 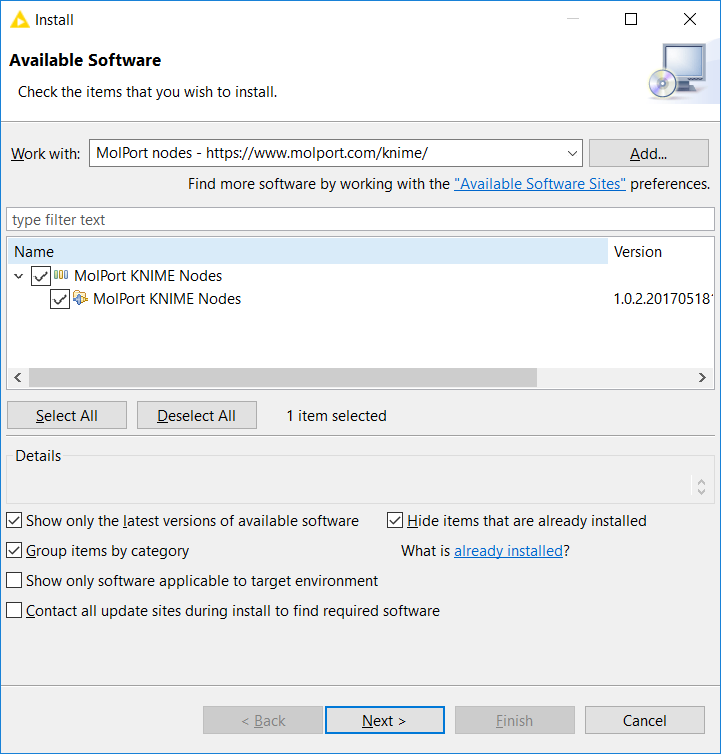 Check the box for MolPort KNIME Nodes or just use Select All below to install or update the existing version of MolPort Nodes. Press Next > or Finish and follow the next installation steps. The download size does not exceed 10Mb for the current version, but the installation process usually takes up to 5 min. When the installation is complete, KNIME will prompt you to restart the application. After the restart, you can find MolPort Nodes in your local Node Repository. Please find here more information about MolPort KNIME nodes here. We would appreciate your feedback and suggestions regarding this feature very much. In case of any question regarding the installation process or the MolPort nodes themselves, you are welcome to get in touch with us, using the contact form.